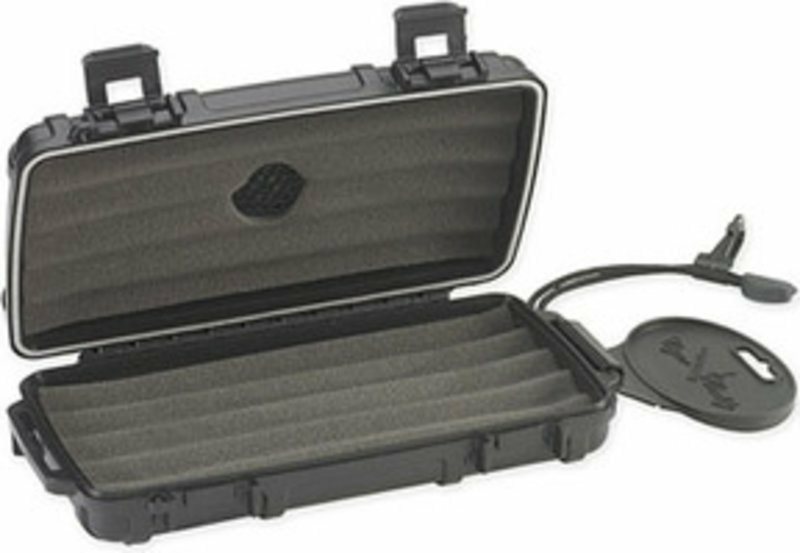 No matter where you go, the Cigar Caddy travel humidor will keep your cigars fresh and intact. The robust plastic shell is lined with rubber foam to protect your cigars from bumps and being crushed along the way. Hermetic seal helps retain humidity. A very nice travel humidor! Had it with me on a long holiday trip! Top. Great product for carrying your cigars. Ingenious stuff. Now I'm here on holiday (camping) and have my cigars and I am sure that they are well supported and protected.